In Episode 1 of our podcast Mission Transition: Powering BC’s Clean Energy Economy, we ask: what’s the deal with electric vehicles? There are more than 6,000 electric vehicles on the road in BC. In this episode we look at who’s flipping the switch to electric vehicles, how to charge those EV batteries, why the EV revolution isn’t going to be quiet… and what it all means for public transportation. Your hosts Susan Elrington and Caitlyn Vernon find out what local people are thinking—and doing—about the surge in electric vehicle interest. 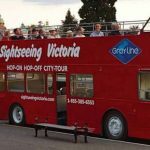 Listen to our bonus interview with John and Andrew Wilson about converting Victoria’s vintage 1960s double decker sightseeing buses to electric power. You can also hear more about clean energy retrofits in Episode 2: Building Smarter. Can Electric Vehicles Work In Cold Northern Climates? Feature image of Chevy Volt by John Biehler, Flickr Creative Commons. 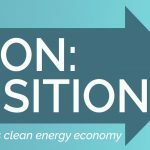 Mission Transition: Clean Energy Podcast Teaser Bonus Interview: Victoria’s Vintage Iconic… Electric Buses! ?